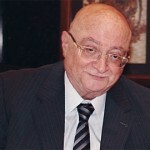 Mr. El Zein is a widely respected insurance professional in the Middle East region, with over 40 years of experience in the insurance sector. Mr. Lutfi El Zein is Chairman of MedGulf Holding Company which is one of the largest insurance companies in the Middle East. Medgulf has an active presence directly and through subsidiaries in Bahrain, Saudi Arabia, The Emirates, Lebanon, Egypt, Turkey and the United Kingdom. The total workforce of MedGulf and its subsidiaries is around 1800.